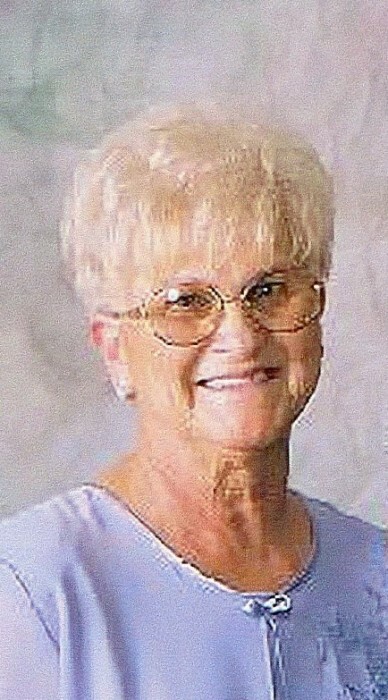 Phyllis (Harrah) Hutchins, 77, of Clyde passed away Saturday, April 6, 2019 at the Clyde Gardens Assisted Living in Clyde. She was born February 17, 1942 in Sprague, West Virginia the daughter of William H. and Bonnie (Mastalski) Harrah. Phyllis was homemaker. She married John C. Hutchins on March 19, 1971 in London, Ohio; He preceded her in death on July 18, 2018. Phyllis is survived by her four children: Eric Hutchins of Perrysburg, Lee (Elaine) Gittinger of Green Springs, Kim (Ben) Harvey of Clyde, and Linda (Rick) Hickman of Tiffin; 5 grandchildren; 11 great grandchildren; and siblings, Fred (Gloria) Harrah of Clyde and Norma (Gilbert) Gittinger of Green Springs. In addition to her parents and husband, Phyllis is preceded in death by two brothers: William Harrah Jr. and Jerry Harrah; infant sister, Glenda Harrah; and granddaughter, Angela Andres. Friends will be received on Wednesday, April 10, 2019 from 4-7 p.m. at Foos Funeral Home & Cremation Service, 504 E. McPherson Highway, Clyde where a funeral service will begin on Thursday at 11 a.m. Burial will follow at Green Springs Cemetery.